April the 17th 1888 Joseph Dietzgen died . In memory , I post this article written by Adam Buick for the journal Radical Philosophy 10. Spring 1975 . JOSEPH DIETZGEN is indeed a neglected philosopher. How many people know that he was the man Marx introduced to the 1872 Congress of the First International as ‘our philosopher’? Or that it was Dietzgen, not Plekhanov, who first coined the phrase ‘dialectical materialism’? Or that for the first thirty or so years of this century Dietzgen’s Philosophical Essays were to he found on the bookshelves of any working class militant with Marxist pretensions? Who, then, was Dietzgen? What were his views? And, indeed, why has he been neglected? Joseph Dietzgen was born in December 1828 near Cologne. His father was a master tanner and it was in this trade that Dietzgen was trained and worked. He was neither, a capitalist nor a propertyless worker but an artisan owning and working his own instruments of production. What distinguished him from other pioneer scientific socialists like Marx and Engels was that he never went to university; he was a self-educated man. Dietzgen was involved in the 1848 rising and after its failure left for America returning, however, after a couple of years. He spent another two years in America after 1859 and went there again in 1884, never to return. He died in 1888 and is buried in Chicago. Dietzgen was not just interested in philosophy, though this was his main interest. He was also a writer on economic and political matters for the German Social Democratic press, especially in the l870s. Marx commented favourably on Dietzgen’s review of Capital in his Afterward to the Second German Edition.1 The two men were personal acquaintances. Dietzgen wrote in German, but a number of his writings, including the most important, were translated into English in the early years of this century and published as two books 2 by the Charles H. Kerr Co. of Chicago. The book bearing the title The Positive Outcome of Philosophy contains not only this, his last work originally published in 1887, but also his first work, The Nature of Human Brainwork (1869), and also his Letters on Logic. The other book, Philosophical Essays, contains translations of some of the propagandist articles Dietzgen wrote in the 1970s and also his pamphlet Excursions of a Socialist into the Domain of Epistemology. This pamphlet, especially Chapter 3, ‘Materialism versus Materialism’, is perhaps the best outline of Dietzgen’s views in his own words. For, frankly, Dietzgen’s works are not easy to read, partly because of the subject matter, but partly also because Dietzgen tended to express himself somewhat philosophically and to needlessly repeat himself. In his introduction, written in 1902, to the English edition of The Positive Outcome of Philosophy, the Dutch Marxist, Anton Pannekoek, described Dietzgen’s philosophical writings as ‘an important and indispensable auxiliary for the understanding of the fundamental works of Marx and Engels.’3 Ernst Untermann, another German Social Democrat who had emigrated to America, expressed a similar view: ‘Dietzgen rounded out the work of Marx and Engels by a consistent monist conception of the universe' 4 Are these opinions justified? In this writer's opinion, yes. Marx’s historical materialism is a materialist theory of history and society; it is not, and was not meant to be, a materialist philosophy. Of course, being an atheist, Marx must have had a materialist conception of the universe but he never wrote much about it. Nor was there any reason why he should have. His specialities were history, sociology and economics, not philosophy or epistemology. Engels made an attempt to back up the materialist conception of history with a materialist philosophy but, in many respects failed to do this satisfactorily. It was Dietzgen who succeeded and in this sense can justly be said to have filled a 'gap' in socialist theory. Dietzgen was a thoroughgoing empiricist and materialist. For him all knowledge was derived from sense-perception and what human beings perceived had a real existence independent of their perception of it. The Nature of Human Brainwork (1869) presents an empiricist theory of knowledge derived from a rejection of Kantian dualism. Kant had claimed that Reason (=science, knowledge) could only deal with the world of experience, but the world of experience, according to him, was only a world of appearances or, to use a word derived from Greek meaning the same, a world of ‘phenomena’. Thus science could never come to understand the world as it really was, the world of what Kant called ‘things-in-themselves’ of which he supposed the world of phenomena to be but appearances. For Kant. there were two worlds: a world of phenomena, which was all the human mind could come to understand, and a world of things-in-themselves beyond human experience and understanding. For Dietzgen, to posit the existence of a second world beyond the world of experience was simply metaphysical nonsense. ‘Phenomena or appearances appear - voilà tout.’5 The world of phenomena was the only world; phenomena were themselves real, the substance of the real world. Phenomena, however, says Dietzgen, do not exist as independent entities; they exist only as parts or the entire single world of phenomena. The world of reality is a single entity embracing all observable phenomena, past, present and future. Reality is thus infinite, having no beginning nor end. It is constantly changing. The universe and all things in it consist of transformations of matter, which take place simultaneously and consecutively in space and time. The world of reality is a never-ending, everchanging stream of observable phenomena, and it exists only as a whole. That Reality, Existence, the Universe, Nature – call it what you will (and Dietzgen called it many things drawn from philosophy, e.g., the Absolute, the Good, Truth, even God) – is a united whole a single unit, is the basis of Dietzgen’s theories and is endlessly repeated in the Letters on Logic, written over the period 1880-3 to Eugene, one of his sons. As can be seen, this conception of the universe is both materialist (since it posits the existence of a world of reality independent of men’s perception of it) and dialectical (since it sees the world of reality as a changing, differentiated unity). It was for this reason that Dietzgen called his philosophy ‘dialectical materialism’, a phrase he first used in his 1870s articles in the German Social Democratic press.7 This was some years before Plekhanov, who is generally said to have originated this phrase (which is not to be found in the writings of Marx or Engels), even claimed to be a Marxist. Plekhanov, it should be noted, meant something rather different by it than did Dietzgen; he was the father of the undialectical state philosophy of present-day Russia which also, unfortunately, goes under the name of ‘dialectical materialism’ and with which Dietzgen’s quite different theories are not to be confused. To state that things are mental constructs can give rise to the misunderstanding that you are saying that they are only mental constructs and that you are therefore an idealist who sees the external world as the creation of the mind. Rut Dietzgen was not saying that things were simply mental constructs: things were mental constructs out of the real world of phenomena as perceived by the senses; things were abstractions, yes, but abstractions from an objectively-existing external reality. Although a thing as such, as a separate independent object, did not exist, there was certainly something in the real world of phenomena which corresponded to it that existed. The mind was not so much constructing the external world as reconstructing an image of it. These passages make it quite clear that for Dietzgen the external world existed independently of the human mind. Unfortunately, as we shall see, this did not prevent him from being misunderstood on this point. This was the basis of Dietzgen’s statement, which, as we shall see, so upset Lenin, that ‘our materialism is distinguished by its special knowledge of the common nature of mind and matter’.16 By this he simply meant that both mind and matter were parts of the world of observable phenomena. This was the same mistake as regarding the objects of everyday use as having an independent, separate existence. ‘Matter’ just as much as ‘table’ was a mental abstraction from the real world of phenomena; in reality tangible phenomena do not exist separately from other phenomena, they exist only as an integral part of the entire single world of all phenomena. To understand the world was to divide it into necessarily abstract concepts. It was not Dietzgen’s aim to decide which was the best way to classify, describe and explain the world but to show what we were doing when we did do this. To ascribe reality to any of these mental constructs, even so general a one as (tangible) matter was a confusion, was to think undialectically; the only thing that had a separate, independent existence was the entire world of phenomena itself. Dietzgen’s criticism of one-sided, narrow materialism was a criticism of its confusion on this point, and not at all a criticism of the basic principles of materialism. Dietzgen was essentially a philosopher of science. We would not want to claim that he always expressed himself clearly or adequately (his ontological proof of the universe and his virtual pantheism will make some readers wince – or smile), but despite his shortcomings he must be given the credit for first formulating a theory of the nature of science – as basically a description of the world for purposes of prediction and control – which is now largely accepted even if it does not call itself ‘dialectical materialism’ or indeed refer to itself as ‘materialist’ at all (mainly for fear of confusion with the narrow, one-sided materialism of the past – and present-day Russia). Dietzgen’s works, besides being difficult to obtain, make difficult reading. However, his best interpreter, the Dutch Marxist Anton Pannekoek, expressed himself very clearly. Pannekoek was himself a scientist, a professor of astronomy of world renown in fact, and wrote not only the introduction to the Kerr editions of The Positive Outcome of Philosophy but also, later, two short brilliant books applying Dietzgen’s dialectical materialism: Lenin as Philosopher (1938)19 and Anthropogenesis (1944). Unfortunately these are just as difficult to obtain as the works of Dietzgen himself. At about the same time as Dietzgen was writing, two other German-speakers, Ernst Mach in Austria and Richard Avenarius in Switzerland, were working out a theory of science which was in a number of ways similar to Dietzgen’s. One of Avenarius’ followers called this theory ‘empiriocriticism.’ We can’t go into this theory here except to say that it too saw knowledge as essentially the classification of experience. However, while Dietzgen never doubted the independent existence of the world of phenomena or experience, empiriocriticism was ambiguous on this point. It wished to construct the world from ‘experience’ (sense-data, etc.) but since experience is the experience of human beings it came very near to saying, and some of its exponents did say, that the human mind (or minds) was as vital to the existence of the external world as external phenomena themselves. materialism (though he retained the phrase ‘dialectical materialism’). To say that thought is material is to make a false step, a step towards confusing materialism and idealism. Lenin regards this as a ‘deviation’ by Dietzgen from materialism, without seeming to realise that this view is the basis of Dietzgen’s whole materialist epistemology. It is not a question of Dietzgen expressing himself badly but of there being a fundamental difference between Dietzgen’s materialism and Lenin’s. Lenin was clearly one of those Dietzgen described as a narrow, one-sided, mechanical materialist. Lenin’s claim about the epistemological contrast between idealism and materialism being blurred if thoughts are regarded as part of the world of phenomena (= the material world) is not true. As we have seen, Dietzgen was quite able to make this the basis of his epistemology and to remain a thoroughgoing materialist who never for one moment doubted the objective existence of the external world. Lenin was quite right, on the other hand, to attack people like Eugene Dietzgen who only gave the external world an inter-subjective existence. This was indeed a departure from materialism in the direction of idealism, but Lenin’s criticism of it was made from the point of view of what Pannekoek in his Lenin as Philosopher called ‘bourgeois materialism’ not that of dialectical materialism. Pannekoek, in this work (which is a reply to Lenin following the publication of German, English and French translations in 1927 and 1928), attempted to give an explanation of why the Russian Bolshevik Party should have adopted ‘bourgeois materialism’ as its theory. By ‘bourgeois’ materialism Pannekoek meant a materialism which seeks to explain everything in terms of physics and chemistry. When the bourgeoisie had to fight to achieve and retain power, said Pannekoek, they believed in the power of the physical sciences to change the world, practically by developing modern industry, and theoretically by exposing the religious views of their class opponents as superstitious nonsense. That Lenin and the Bolsheviks 22 should have adopted a similar ideology to that of the rising bourgeoisie of Western Europe at an earlier period was to be explained, said Pannekoek, by the essentially similar task that confronted them: to carry out the equivalent of a bourgeois revolution in Russia which would sweep away the obstacles, institutional and ideological, to the development of modern industry there. Pannekoek saw Leninism as the ideology of a new ruling class whose historical task was to industrialise Russia on the basis of state capitalism, with militant physical-science materialism as its ideology. This materialism, though falsely called ‘dialectical,’ is still the dominant ideology in Russia today. Whatever the explanation as to why Lenin rejected Dietzgen’s dialectical materialism, the fact that he did contributed in large measure to Dietzgen becoming a neglected philosopher.23 Dietzgen’s ideas had been introduced into Britain before the first World War by the English-language translations of his works published by Kerr of Chicago, and had been propagated here by such organisations as the Labour College movement and the Socialist Party of Great Britain. Both of these continued to exist after the War and Russian revolution and both of them proclaimed a Marxism independent of Moscow. A textbook on Dietzgen’s philosophy by an NCLC lecturer, Fred Casey, called Thinking (1922) was widely read in militant working-class circles. Then in 1927 was published the first English translation of Lenin’s Materialism and Empirio-Criticism.24 From then on, as in the 1930s, the Communist Party’s false claim to be genuine Marxists came to be widely accepted, Dietzgen receded into the background. In 1936 T.A. Jackson, a professional Communist Party writer, included a vituperative attack, in true Leninist style, on the unfortunate Casey in his book Dialectics; to be a ‘Caseyite,’ i.e., to accept Dietzgen’s philosophy without Lenin’s ‘correction,’ became a heresy in Communist Party circles. We would not want to claim that the sole reason for Dietzgen becoming neglected was the fact that his materialism differed from that proclaimed by the State philosophers of Russia. Other factors entered into it too, including the difficult reading that his writings make. Also, with the decline of religion as a social force, working class militants have felt less need to arm themselves with a militant materialism such as Dietzgen provided. Nor is it now really necessary to ‘revive’ Dietzgen. For, as we have said, his basic views have been absorbed into modern science which in practice is both dialectical and materialist. For the historical record, though, it is worth paying a tribute to the working tanner and socialist militant who pioneered these views. Dietzgen, radical philosophers of today should be aware, was the man who first formulated the theory of dialectical materialism as an essential complement to Marx’s materialist conception of history. 1 Capital, Vol. I, p.16, FLPH, Moscow, 1961. 2 The Positive Outcome of Philosophy, Charles H. Kerr, Chicago, 1906. A second revised edition was published in 1928, from which the quotes for this article are taken. Philosophical Essays, Charles H. Kerr, Chicago, 1906 and 1917. 4 Science and Revolution p.161, Kerr, 1905. 5 ‘The Nature of Human Brainwork,’ Positive Outcome, p.102. 7 Essays, pp.139, 159, 208, 216 (231, 293, 294, 306, 307, 361). 8 ‘The Positive Outcome of Philosophy,’ Positive Outcome, p.425. 10 ‘The Positive Outcome of Philosophy,’ Positive Outcome, pp.374-5. 11 ‘Excursions,’ Essays, pp.361-2 and p.310 respectively. 12 ‘The Positive Outcome of Philosophy,’ Positive Outcome, p.428. 17 ‘The Positive Outcome of Philosophy,’ Positive Outcome, p.368. 19 Lenin as Philosopher, New Essays, New York, 1948. A French translation was recently published by Spartacus, 5 rue Ste-Croix-de-la- Bretonnerie, Paris IVe. See also Pannekoek’s article ‘Society and Mind in Marxian Philosophy,’ Science and Society, 1, 4, 1937. 20 ‘The Proletarian Method,’ Essays, p.65 and p.61 respectively. 21 Materialism and Empirio-Criticism, p.290 and p.292 respectively, Foreign Languages Press, Peking, 1972. 22 Trotsky too was a mechanical materialist who believed that, in principle, it was possible to explain everything, from the movement of the planets to thinking and consciousness, in terms of the movement and properties of the tangible atomic particles he supposed the world to be made up of. See the extracts from two speeches made in 1925 and 1926, reproduced in The Age of Permanent Revolution: A Trotsky Anthology, edited and introduced by Isaac Deutscher, Dell, New York, 1964, pp.342-55. 23 Dietzgen was not entirely forgotten. See, for instance, ‘Empiricism and Ethics in Dietzgen’ by Loyd D. Easton, Journal of the History of Ideas, January 1958. 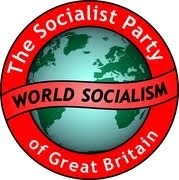 Also the SPGB, and the World Socialist Party of the United States (from which this writer first learnt of the ideas of Dietzgen and Pannekoek), continued, and continue, to propagate his ideas. 24 There exist two English translations of Lenin’s work. The first, the one published in 1927, evidently had various inaccuracies. For instance, it has a passage ‘all materialists regard Dietzgen as an inconsistent philosopher’ which the second translates ‘materialists . . . regard Dietzgen as a philosopher who is not entirely consistent’! LARRY GAMBONE:- " COSMIC DIALECTICS,THE LIBERTARIAN PHILOSOPHY OF JOSEPH DIETZGEN"
It's unclear why the ideas of this a priori dogmatist, Dietzgen, are being promoted here. Dietzgen makes no attempt to prove anything he says, and the evidence, even today, fails to support the vast majority of the things he has to say, about, for example, the "The world [being], the Absolute incarnate, which develops eternally".